Television Made the Rock’n Roll Star (sort of): Another Take on the Multi-Level Perspective. 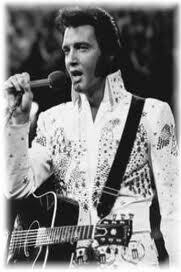 Elvis Presley is an excellent example of a socio-techincal market niche. Before I get into too much detail about my PhD project (It really says something about the nature of a PhD that it’s going to take me a few posts just to say what it is that I’m doing), I first need to set out the theoretical debates that I’m entering into. In this post, therefore, I’m going to offer a primer on the multi-level perspective. I’ve already briefly explained what it means in a previous post, but months of reading have given me a much better understanding of socio-technical transitions theory I did when I wrote that, so I’m going to re-hash things a little bit. I thought about using the example of the car regime for this, but over the next few years, I’m going to be writing about cars pretty much constantly, so today I’m going to use a case-study from a different, and arguably more engaging technology: Rock ‘n roll. Some may be immediately sceptical about this. Rock ‘n roll is frequently described as an art form, a social movement or a business, but it is rarely considered a technology. This, however, makes it a perfect example of what I want to talk about. There are technologies components without which rock music could not exist, and these technologies interact with and reinforce the social, political, and economic aspects of the music. Rock is an excellent example of a complex set of social and technical elements also known as a socio-technical system. There is a problem with this picture, though. If socio-technical systems are composed of complex, mutually-dependent elements, then how do they come to be in the first place? And now do new systems replace old ones? It seems unlikely that all the pieces for such a complex structure could spontaneously fall into place, especially if there is another competing structure already in existence. This is the question that socio-technical transitions theory generally, and the multi-level perspective specifically, seek to answer. To sum it up in as few words as possible, the multi-level perspective suggests that transitions happen at three levels. The regime level consists essentially of the system I have just described: it is a series of technical, cultural, political, economic, scientific, and practical forces which support each other and together form a stable configuration that is very difficult to dislodge. Regimes are periodically challenged by niches, which are protected experimental spaces where a new technology that is not yet seriously competitive with the regime is developed. The largest level is the landscape, which consists of large-scale historical forces and events such as wars, major political shifts, prevailing economic structures, and the like. Transitions occur when landscape pressure causes tension between the elements of the dominant regime. This allows a developed niche technology to compete with it on more even terms and sometimes brings about a socio-technical transition. The rock ‘n roll case-study is from a paper by my PhD Supervisor, Frank Geels. He describes a pre-rock ‘n roll radio broadcasting regime that was largely the product of the 1920s. In those days, the radio was one of the most attractive forms of media for advertisers, because there was little to compete with it. The advertisers sponsored entire programs, and demanded music aimed at the tastes of the white middle-class. The result was a fairly homogeneous musical landscape dominated by big bands, swing, and singers like Frank Sinatra. Meanwhile, the recording industry in the 1920s underwent a major consolidation due to the invention electronic recording techniques, which required more expensive equipment. This consolidation reinforced the trends in the radio industry by encouraging economies of scale, as record labels sought to sell more records recorded by fewer stars. The only space available for alternative musical genres, such as country and certain styles of jazz, was at small live performances. The stable radio and recording regimes were stable for a few decades after their creation in the 1920s, but were shaken up by a few landscape events in the 1940s. The end of the Second World War meant that music was less essential for wartime morale, and record sales began to drop off, causing record companies to begin to search for a new musical formula. The radio regime received a massive shock in the form of television, which stole a lot of its major advertisers. The smaller, local advertisers who replaced them could not afford to sponsor entire shows, so a shift from live music played over the radio to records and the first DJs occurred. Local stations catering to local advertisers had a reason to cater to local tastes, and so a more diverse mix of music appeared on the radio. ‘Black music’ and country thus found stronger niches. As you probably know, the breakthrough of rock music occurred in the 1950s. Television meant that the radio was no longer the central family entertainment device, so a space for more individual tastes developed. Teenagers, in particular, developed a taste for loud, exuberant guitar music focused on rhythm, and the radio stations were now in a position to cater to that need. Cultural tension between the baby boomers and their more conservative parents (another landscape pressure) could now be exploited by the first rock stars to create a market for a new and rebellious kind of music. Regime destabilizations generally do not last long. Once rock ‘n roll became popular, it lost its earlier spontaneity and a new regime began to form around it. Today, rock music is big business, and it continues to enjoy the support of groups ranging from guitar makers to itunes. Its cultural symbols are almost universally recognized, and the Rolling Stones, who used to be a symbol of rebellion, now play to audiences of middle-aged lawyers and accountants. Rock music along with the cultural, technical, and business structures built around it, have become firmly entrenched as a socio-technical regime. The interesting thing about this story is the same thing that makes the multi-level perspective so powerful: the transition is the result of a unique set of conditions that can’t be reduced either to the initiative of a few heroic individuals, nor to the mechanistic result of societal trends. A clever observer at the end of the Second World War might have been able to predict that economic and technological trends in the radio and recording industries would cause music to diversify. They might have even predicted that the baby boom would lead to a huge generation teens eager to defy the tastes of their parents. However, this person would never have been able to predict that a handful of innovative musicians would start shouting rebellious lyrics over the melody provided by distorted riffs from closed-body guitars. The large-scale factors permitting the rise of rock ‘n roll are thus predictable social trends, but the actual content of the music is the result of individual initiative. It is through a combination of both factors that our music, technology, and society change.